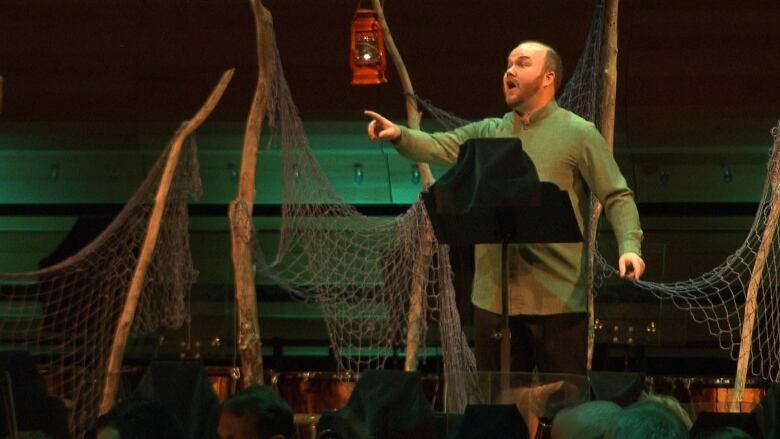 The Montreal Symphony Orchestra hopes its new opera Chaakapesh: The Trickster's Quest, will be seen as a respectful partnership with Indigenous artists, following this summer’s controversy over the shows SLAV and Kanata. "Have you ever heard a cricket before?" 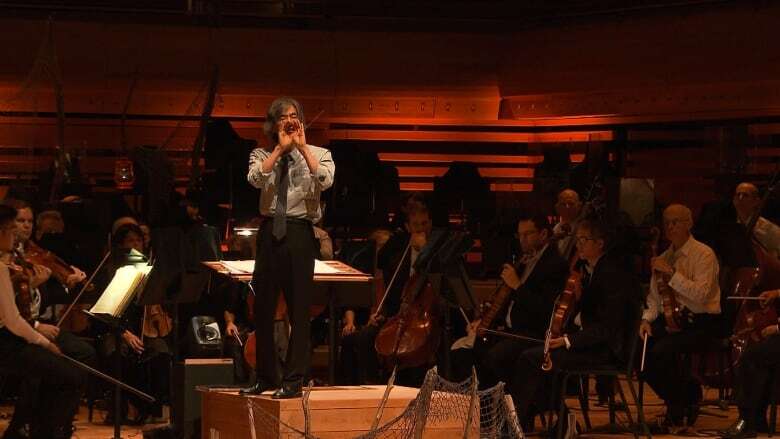 It's a strange question to hear at an orchestra rehearsal, but it's the question Kent Nagano is asking his percussionist, who is doing his best to make a ribbed wood block chirp the way the maestro wants. 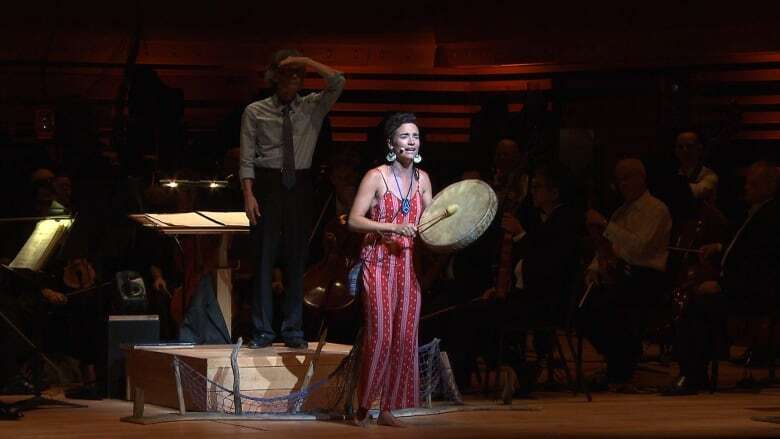 It's one of the final rehearsals for Chaakapesh, the new opera written by Cree librettist Tomson Highway and composed by Matthew Ricketts, that tells the story of a trickster caught in the belly of a whale. A few more flicks of the wrist and the percussionist coaxes his instrument into letting out a short sharp peep, earning a nod and a "better" from Nagano. It's just one example of the attention to detail that seems to have gone into crafting this ambitious new work, which will see a scaled-down OSM travel more than 4,000 kilometres across Quebec's north, from Nunavik to Eeyou Istchee, to Nitassinan, to play for — and with — Inuit, Cree and Innu communities. It's a project the OSM hopes will be seen as a respectful partnership with Indigenous artists and communities, especially in the wake of this summer's controversy over cultural appropriation, diversity and representation in Quebec's art scene. "For us, it was really about respect from the beginning," said Marc Wieser, the OSM's project manager for the new opera and upcoming tour. "When we approached Tomson [Highway], we asked him what he thought. What sort of piece he could write from his experience that would also fit what we were looking for, rather than telling him to do something." For Highway, an award-winning playwright and novelist, there was no hesitation. "All of the sudden my phone rang and it was Kent Nagano," he said. "It's sort of like getting a phone call from Celine Dion asking you to write her a song. I mean do you say no? No! I said yes, immediately!" Wieser said ever since the OSM's 2008 trip to three communities in Nunavik, the orchestra has wanted to do something bigger and better. It finally happened thanks to a Canada Council new chapters grant, that, among other things, helps with the hefty airfare costs. But Wieser adds the OSM wanted to branch out and create links with Cree and Innu communities as well. And it wanted Indigenous artists to partner in creating the work. 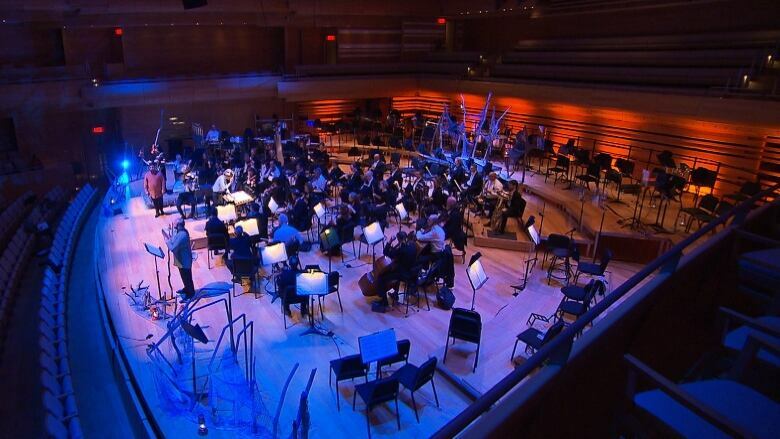 For example, depending on which community the orchestra is in, the opera will be narrated in Inuktitut, by throat singer Akinisie Sivuarapik, in Cree, by film producer Ernie Webb or in Innu by singer-songwriter Florent Vollant. "It really helps because it's also preserving our language," said Sivuarapik, who is from Puvirnituq. "Our language is very important in our culture. It makes us who we are. So I'm very proud that the OSM is doing this." As well, at each stop of the tour, a local Indigenous artist will join the orchestra on stage to perform during a show within the show. The two opera singers in Chaakapesh, baritone Geoffroy Salvas and tenor Owen McCausland — both non-Cree speakers — learned to sing in Cree for the show. Wieser said this summer's controversy over the Robert Lepage productions SLAV and Kanata, did prompt the OSM to take a second look at whether it was treating the languages and cultures of its collaborators with respect. 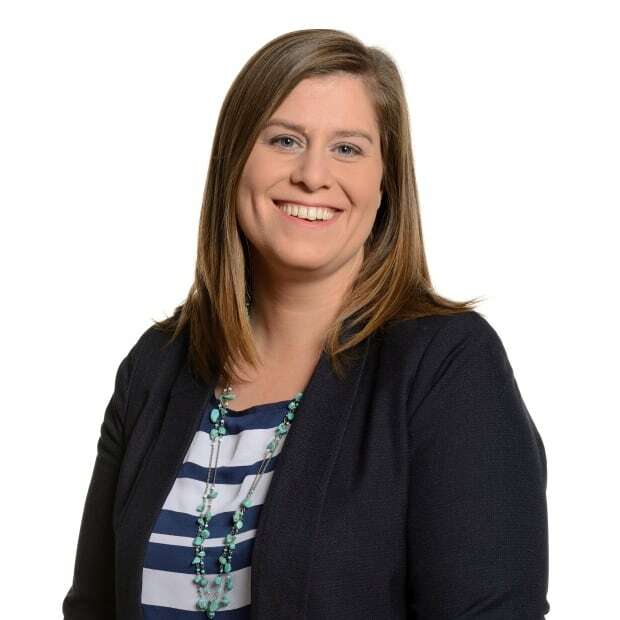 "We invited some people in to talk to our administrators about cultural appropriation, about respectful practices of engagement," Wieser said. "In the end, that we were staying true to our initial intention which was to be respectful, to have an open spirit of learning." 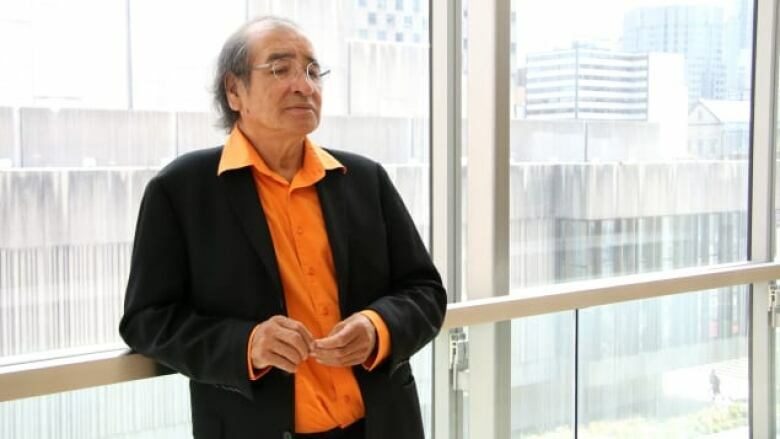 Tomson Highway sees things a bit differently. "I believe in a total artistic liberty. I really do. For me it's a religion," said Highway, who took some artistic licence with the Chaakapesh story, combining it with the Bible story of Jonah and the whale, and transplanting it from its original location of Lake Superior, to the Gulf of St. Lawrence, to give it a Quebec setting. "If I were to listen to the voices that say cultural appropriation this and cultural appropriation that, I'd be silenced," he said. Wieser responds that it's important for artists like Highway to feel like they have that freedom, but hints that organizations like the OSM need to have an eye on the bigger societal picture. "It's just as important for administrators like us, to do the work of making sure that... as an institution, we're not silencing anyone." Chaakapesh: The Trickster's Quest will be performed in Kuujjuaq on Sept 10, in Salluit on Sept 12, in Kuujjuarapik on Sept 14, in Oujé-Bougoumou on Sept 17, in Mashteuiatsh on Sept 18 and in Uashat mak Mani-Utenam on Sept 19.